At HVMG, Be Excellent® is the foundation of our Purpose and is embedded in everything we do. Be Excellent® is an action...it is a conscious choice that each of our associates make each day that guides and inspires how we approach our lives. This choice to Be Excellent® can have a profound effect on not only our personal and professional lives, but also with our guests that we are honored to serve, and our partners that trust us in business. When an associate is hired with HVMG at one of our hotels or in a corporate support role, they are selected because they possess the traits to Be Excellent®. 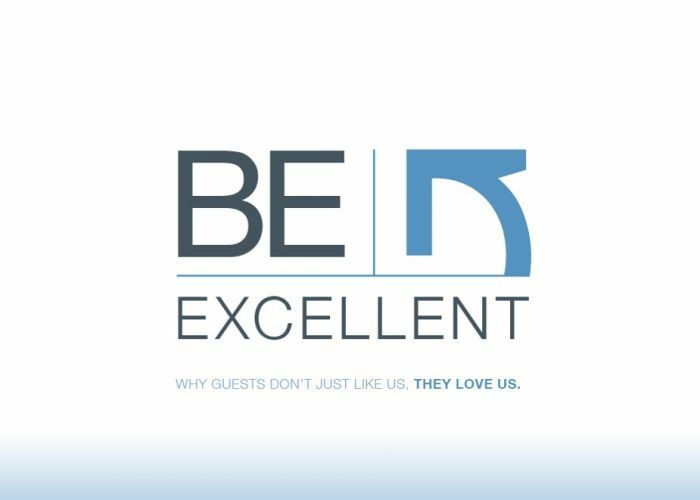 Once a part of our team, our associates are challenged and inspired through our Be Excellent® Celebrations and thru our existing associates to live our purpose...to "Be Excellent® in all that we do, so our associates, guests and partners LOVE us!" Each and every day our associates provide memorable moments for our guests staying in our hotels and we LOVE to celebrate their individual and collective team successes! Check out what our guests have to say about our excellent HVMG associates by clicking on the interactive map below!